A Mr & Mrs wedding sign personalized with your wedding date will help guide your friends and family to the wedding site, reception or parking. 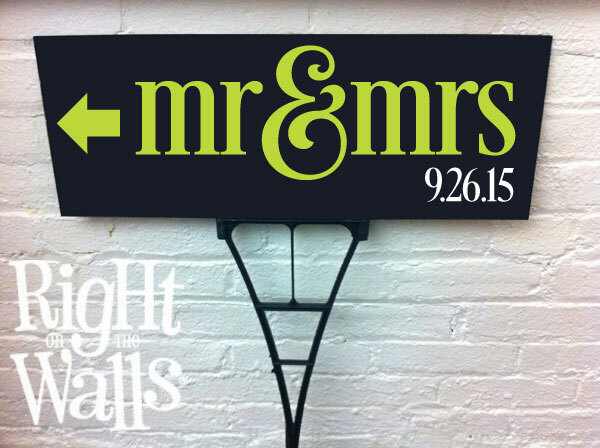 We offer this sign in two colors (black and white), plus over 35 vinyl colors to choose from that will coordinate nicely with your wedding theme. 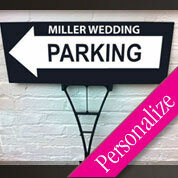 Order a single sign or many to help guide your guests from parking their car, to the wedding, and then on to the reception. 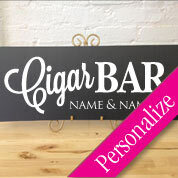 Personalized directional signs are outdoor quality; made from a weatherproof plastic with custom cut vinyl applied. The sign comes with a heavy plastic ground stake measuring 20" tall and allows a full 5" depth into the ground to secure the signage. 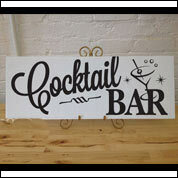 Sign measures 24" wide x 9" high. Ground stake measures 20" tall. 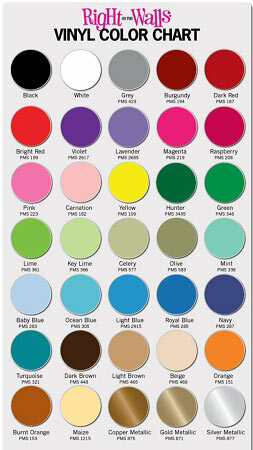 All of our products are made to order, therefore 100% customizable. If you want a sign different than we have available on our website, please contact us for help!